Imagine you will be teaching a class next week without textbook-prescribed course modules, chapters, and PowerPoint slides that dictate what students should know and how learning should take place. In such a case, what would you use to structure class time? In the absence of the textbook script, you would likely be forced to consider what you think students should learn – what they should understand and be able to do at the end of the class period that they were unaware of and unable to do at the start of the class period. You would need to establish a set of learning objectives, a vehicle for achieving those objectives, and a method for assessing them—in essence, you would design a lesson plan. 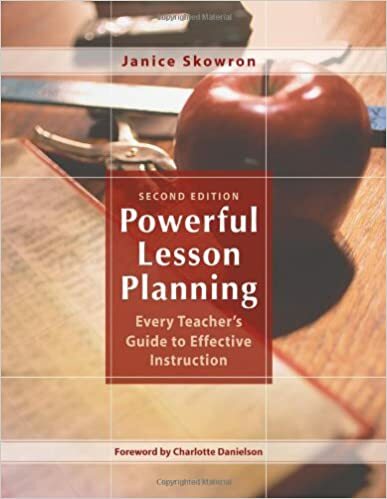 Janice Skowron (2006) has written on the topic of preparing effective lesson plans that hinge on a larger pedagogical context. From this context, the instructor uses learning objectives to shape her own and student activities, as well as to assess learning. The following guide outlines the process of preparing effective lesson plans, going beyond the textbook script. The first step to designing an effective lesson plan involves establishing a set of learning objectives, or outcomes that are concrete and measureable (Skowron, 2006). You can think of learning objectives in terms of the descriptive actions students will use to demonstrate their learning, such as analyzing, comparing, predicting, and creating. These objectives establish a way to be purposeful in selecting content and activities most essential to the learning process. For a class on the experience of living in Saint Louis, for example, one might establish these objectives to include students being able to objectively evaluate the pros and cons of living in Saint Louis. Once you have established your objectives, the next step is to plan how you will assess those objectives (Skowron, 2006). Assessment can be formal, such as when you establish a set of criteria, or an answer key, to evaluate students’ strengths/weaknesses and content knowledge/thought processes. However, assessment can also be informal, such as when you observe students’ performance, often at different stages of a learning activity or task. Assessment criteria allow students to monitor their progress towards achieving learning objectives. They also allow instructors to plan activities that accommodate students’ current understandings and scaffold new learning. Importantly, the assessment criteria should align with the course’s learning objectives, as well as students’ current approximations to them. Indeed, the assumption is that students do not enter the class demonstrating the target objectives; their learning begins with understandings/abilities that are more basic or incomplete. The purpose of the learning activity, the final component of the lesson plan, is to scaffold students’ learning in the direction of course learning objectives. As noted, learning activities are vehicles that help students achieve course learning objectives (Skowron, 2006). The activity should be congruent with students’ current abilities, as well as push them to acquire a measure of learning, as defined by the learning objectives. Jensen (2000) outlined a list of “engaged learning activities,” or activities that require students to “do” something with the course material, which encourage students’ approximation to course learning objectives. In the early stages of a course, these activities might involve graphic organizers, or concept maps, that allow students to visually represent the relationships between different events or concepts. For example, students might use concept maps to delineate the order of a series of historical events. Creative retelling is another engaged learning activity that allows students to link events by telling a story. In the later stages of a course, these activities should encourage students’ closer approximation to the course’s learning objectives. They might involve role-playing in which students play the part of different historical figures. Students might ultimately take part in a debate, for example, negotiating the pros and cons of living in Saint Louis, an activity closely aligned with the course learning objectives. Thus, in the process of moving away from the predictable textbook-dictated modules, chapters, and PowerPoint slides, learning, as the teacher defines it, becomes more focused and planned. The instructor’s role moves to that of a facilitator who provides students with the background information/material needed to perform engaged learning activities, and, ultimately, achieve the desired course objectives. To learn more about how you can streamline effective lesson plans in your courses, I encourage you to attend our March 23rd Teaching Essentials workshop, Designing Effective Lesson Plans. You can access the registration link here. Jensen, E. (2000). Brain-based learning. San Diego, CA: Brain Store. Previous postIs Your Flip Flopping?